One of the top 5 experiences I have ever had was meeting Dr. Carter. His gentle demeanor gave me such confidence and put me at ease immediately. The entire office staff was beyond professional. They made me feel as though I were family and assisted in my care and comfort from the moment I made my appointment. Thanks to Dr. Carter, I no longer fear dentistry or procedures. 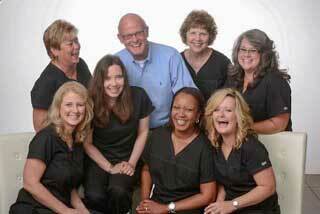 I look forward to returning to a great smile and would highly recommend Dr. Carter’s care! I can't begin to thank Dr. Carter & his staff enough for the excellent care I received & how they always made me feel comfortable! I came to Dr. Carter to discuss dental implants & hopefully be a good candidate for the procedure. My first visit I knew I had made the right choice! Dr. Carter explained the procedure to me step by step so I knew what to expect! Getting dental implants was a procedure done in several visits. It is definitely a process and I am so glad I did it! I now have 5 implants and I know doing this has made my overall health better & I feel so much better about myself. Dr. Carter, thank you so much for all your kindness & professional expertise in what you do. Thank you for helping me make one of the best decisions I've ever made, having his procedure done. My confidence in myself & dentists has definitely been restored. Thanks to you & Dr. Foster for sending me to you. Thank you so much for the wonderful service your all have given me. I really appreciate how good my teeth look and how good my smile looks. Thanks for going the extra mile and taking care of me. I hope you all have a Merry Christmas & Happy New Year! A few months ago, a formation appeared in my upper front gums. After taking an antibiotic for one week, this still looked the same. My regular dentist made an appointment for me with Dr. William Carter, DDS, MS, and I went for an evaluation. Dr. Carter surgically removed this formation in a very professional and gentle manner. Before my follow-up visit, I received a letter from Dr. Carter's office stating that tests had been run and that there wasn't any malignancy. I was treated with dignity, and respect from Dr. Carter, and his entire staff. I would recommend them to anyone. I really didn't have any concerns about the implant procedure. I have faith in Dr. Steven Thaxton and if he chooses to send me to Dr. Carter I have utmost confidence in him and his staff. I found Dr. Carter and his staff to be one of the most caring and informative groups in the medical offices. If I had a question I was never too bashful to ask and whoever the staff was answering they were polite and kind in satisfying me until I understood. Everyone that talked to me called me by my name. That doesn't happen in all offices. I would never hesitate to suggest someone go to Dr. Carter. The results of my care and dental work from Dr. Carter and staff are very satisfactory. I enjoyed meeting everyone there. Thank you for this opportunity. I would like to thank you for your professional and caring service. You made me very comfortable even though I had much trepidation about the appointment. I do want to thank you so very much for everything. I cannot say enough about the staff and the environment. The employees dress and look the part of a professional. Phones are always answered promptly and courtesy. The overall environment is calm and soothing unlike many offices I have seen in the past. First impressions mean a lot and so does the appearance of the environment. In regards to Dr. Carter, you are great. 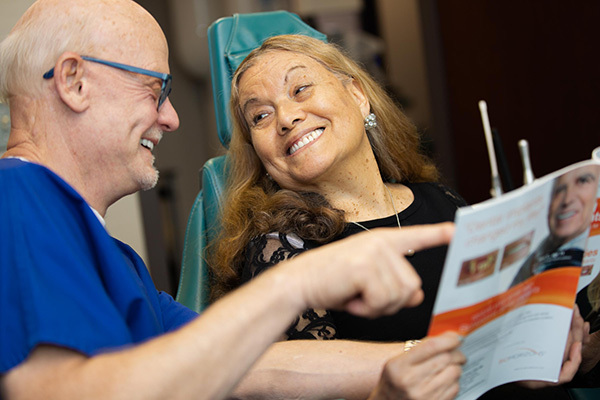 Originally, I was concern about having my procedure done because of the horror stories I have heard from others who have had the same surgery done elsewhere. I stopped my worry immediately after meeting you. I did not hurt one bit. No more bleeding... I have told all of my friends about you. I need not say anymore other than the overall staff is great. They were attentive to my needs and did what they said they would do. Overall, everything was great! Great experience for what I had done. Very professional staff and courteous. Would recommend. The staff is very friendly. Dr Carter explained my procedure so well, there was no surprises. Everything that I have experienced has been very positive! Thanks for all your help! You have a great office. I hope each of you have a great and prosperous year! It was a positive experience all the way around and I would highly recommend Dr. Carter and his staff. I had dental implant surgery and if I have any future needs for such surgery again, I would want no one else to do it except Dr. Carter. His staff is excellent as well -- genuinely warm and friendly. Great services -- hope I don't need them again!